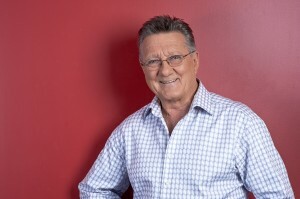 Actor, director, producer and writer, Graeme Blundell has been associated with many pivotal moments in Australian theatre, film and television. He has directed over 100 plays, acted in about the same number, and appeared in more than 40 films and hundreds of hours of television. He is also a prolific journalist and is now the national television critic and crime reviewer for The Australian and presents movies on Foxtel’s Fox Classics and Masterpiece Movies. He co-authored a biography of painter Brett Whiteley, An Unauthorised Life, and edited and compiled Australian Theatre: Backstage with Graeme Blundell for Oxford University Press. His biography King, the Life and Comedy of Graham Kennedy headed the best-seller lists in 2004. His autobiography, The Naked Truth, A Life in Parts was published by Hachette in 2008. His biography of TV icon Bert Newton will be released later this year.